When Xiaomi debuted the Redmi Note 5 Pro in India earlier in February, it was pronounced as the camera beast and the ultimate budget smartphone. The team at Beebom itself liked the device a lot and found it to a significant bump over its predecessor. But the device had one glaring flaw and almost everyone pointed fingers at Xiaomi for it – the software. The Redmi Note 5 Pro, if you’re unaware, is running its own custom MIUI 9 skin atop Android 7.1 Nougat. Yes, it is still running Nougat at a time when Android 8.0 Oreo has been officially out for over half a year. However, it now seems like the Chinese giant is already working on the much-anticipated Android 8.0 Oreo update for the device. 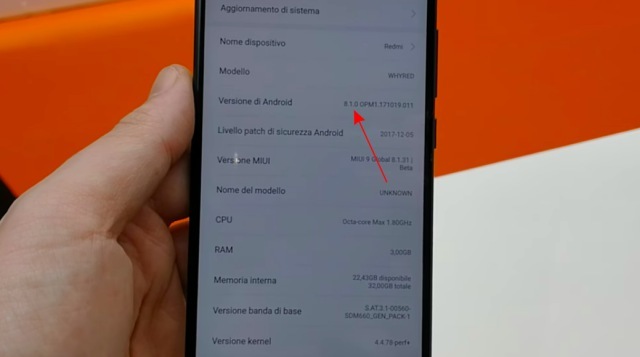 This device, being shown off at MWC, seems to have a private beta build of Android Oreo installed and firmware version 8.1.31 of MIUI 9 Global. This means it’s not currently available for the average user to download, but an OTA update could show up on all your devices very soon. While this a welcome move from Xiaomi that puts an end to your reservations, it is no big surprise because Xiaomi has been recruiting beta testers for the Redmi Note 5 and Note 5 Pro to test out their Android 8.0 Oreo builds prior to the official release. And it’s especially for the global builds because the Redmi Note 5 Pro is only available in India at the moment. Further, a report on XDA Developers says that the upcoming Android Oreo update for the Redmi Note 5 Pro may bring along Project Treble support, which is obviously a great news for users. It is, however, just a speculation and we’d suggest a pinch of salt to be taken with the same. However, Xiaomi absolutely needs to up its game in the software updates department. Don’t you think the same? Tell us in the comments below.